UK - Hall Stage has announced the launch of the "DL-Lite" range of rigging pulleys to complement the existing extensive catalogue of stage equipment, built up since the company formation 116 years ago in 1898. Designed to meet a 5:1 safety factor - 60% higher than competitive products – DL-Lite has a safe working load of 150kg, with the Hall Stage quality guarantee and warranty to back it up. Featuring Laser-cut 3mm steel side plates - no light gauge pressed materials - the pulleys are fabricated from high grade materials and components to complement the standard Hall’s "Dynaline" 8:1 units, sharing the same comprehensive selection of fitting and fixing options. 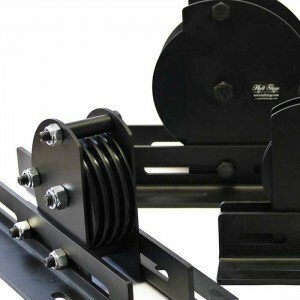 Finished in Hall Stages’ unique non-reflective and durable powdercoat, DL-Lite pulleys feature triple cable retainer guides to secure ropes in the sheave profile and are fully proof load tested and CE marked prior to shipping. 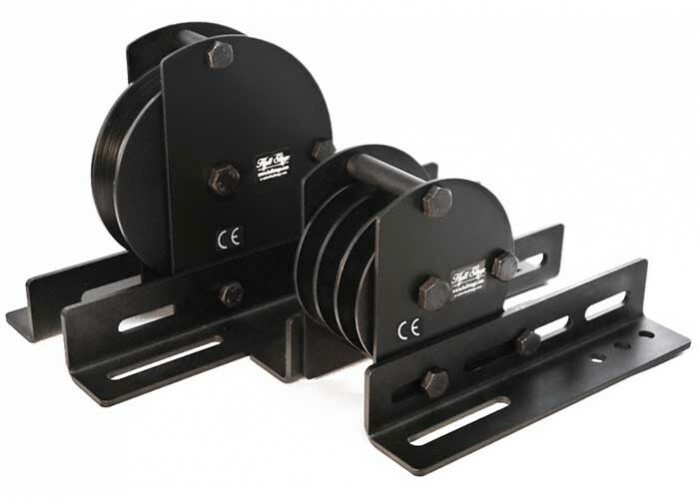 Available for 4mm & 6mm steel wire rope and 12mm & 18mm hemp line in 1,2,3,4 & 5-sheave format and with a new ‘multi-use’ mounting bracket, DL-Lite pulleys are designed to meet the high demands of Hall Stage clients everywhere - at a great value price. 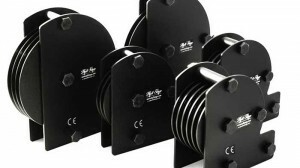 In picture: 100mm and 150mm sheaves, Hempline profiles and Multi-fit mounting brackets.